The Arena of Integration is an association of enterprises which represent highly diverse fields of expertise. In particular due to ever more complex systems and requirements in all of the links of a multidisciplinary value chain, the interlinking and networking of individual modules within an overall system can hardly be implemented by any single company alone anymore. Not only is specific know-how required: options for integration into existing as well as new systems, compatibility, corresponding interface management for processing the required data and the assurance of uniform quality levels for individual components as well as the overall product are necessary to just as great a degree. Associated processes such as simulation, planning and the incorporation of optimised service processes are becoming more and more important in light of advancing digital technologies. Highly diverse fields of expertise are also necessary in order to do justice to today’s requirements. The Arena of Integration represents a great variety of this expertise in an amalgamation of all types of companies – from start-ups right on up to global players. And not loosely organised, but rather equipped with experience and know-how based on past collaboration in numerous projects and production work-orders. In the final analysis this assures functionality, implementation experience with the involvement of several companies and knowledge gained as a result in dealing with the specifications and each other. 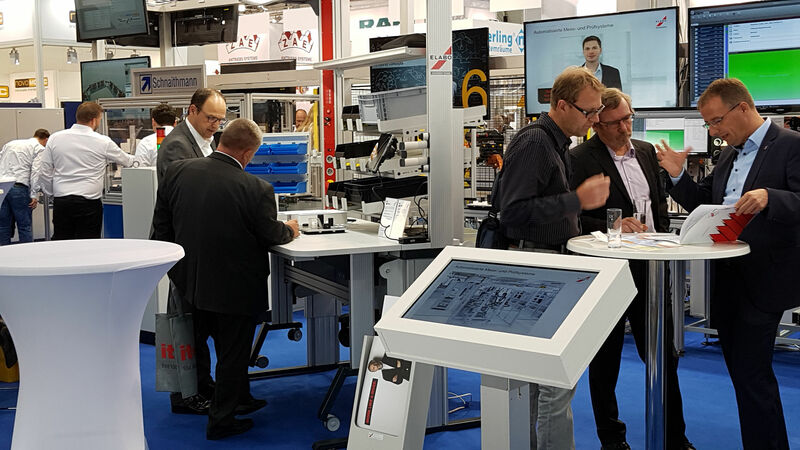 For this reason, the Arena of Integration at Motek 2018 will focus attention on shifting away from rigid relations and towards competence centres, which are networked with and supplement each other. And thus the concept of agile production and integration modularity will be advanced this year. In order to plainly illustrate the diversity of all of the technologies showcased at the Arena, they’ll be presented in the form of scenarios. 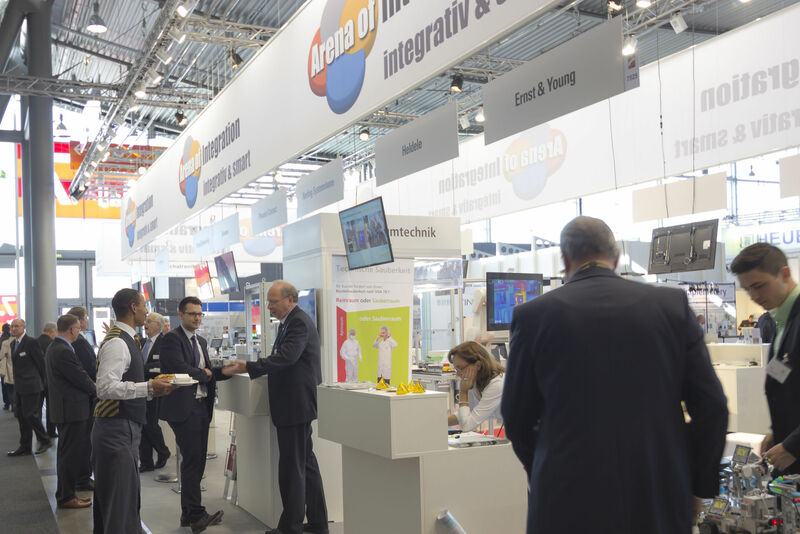 These include “Smart Automation & Controlling”, “Digital Services”, “Quality Engineering” and “Predictive Maintenance”, as well as “Identification & Security” – represented and presented by renowned companies at the Arena of Integration 2018. They demonstrate how a great variety of competence centres work together intelligently for the benefit of the user on a digitalised, solutions-oriented basis in an issue and process-specific manner.